Sunday, the 20th of January, Iguana Hostel is going to the nearby indigenous village of ZINACANTAN for the anual festival of San Sebastian. This is a unique in its style, indigenous carnaval, filled with traditional outfits and flowers, traditional food and music. You are lucky that you are in Chiapas in January!!!! 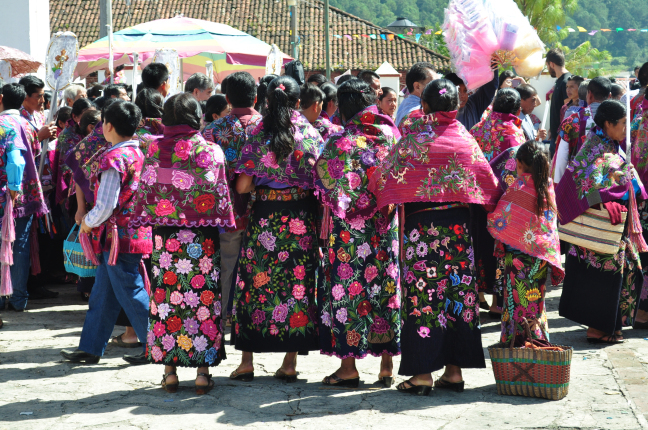 Dressed in their colorful traditional costume of flowers and butterflies, which marks the cycle of agricultural activity, population of ZINACANTAN will pay tribute to San Sebastián Mártir, with candles, incense, sedge and precious branches of its traditional floriculture. In these dates tourism can visit Zinacantan and witness their customs and traditions. The most amazing and unique is a RITUAL THE JAGUAR TREE. We will be travelling, after breakfast and short introduction, by public transport. Co-operation for the guide is voluntary and appraciated. Non-guests will need to pay $150 + their expenses to participate in our tour.